Val and I had grand plans for Prusik, but weather concerns made us decide to try something a little lower, so we opted for Outer Space instead. The traditional Outer Space route starts with two pitches of 5.easy, so we decided to make things a bit more interesting by using the Remorse start, which skips the first two 5.easy pitches by instead using a 5.6 and two 5.8 pitches. Remorse P1 starts out at 5.easy, and moves into 5.6 terrain with a gentle leftward traverse. 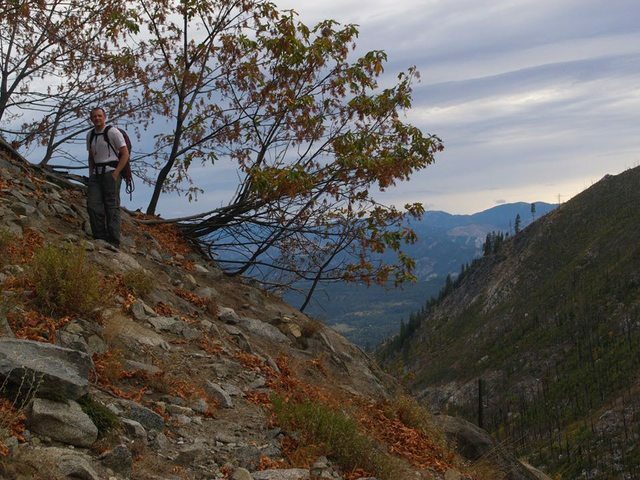 The Leavenworth guidebook mentions a bolted belay at the top of this pitch, but we didn’t find it. 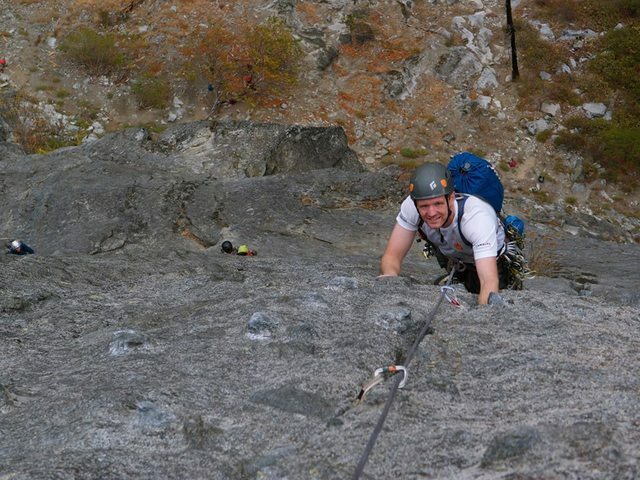 Instead Val stopped after about 30 meters on a decent ledge and made a gear anchor, and I took over the next pitch. P3 went up right from the ledge towards two-tree ledge, where you meet Outer Space. If you go straight up, it’s 5.9, or you can move right where the crack gets steep with some tricky-looking slab moves to stay on the 5.8 version (not as bad as it looks). Val dispatched this pitch in fine form. I took the final pitch. There’s a few solid 5.9 moves at the start, but the pro is excellent. After that, it drops to about 5.7. Even with our slightly above average rack, I had to run it out a bit on this pitch. Eventually, the crack disappears and it’s up on chicken-heads. This part was run-out but also super easy- far below vertical and the chicken heads are super positive. 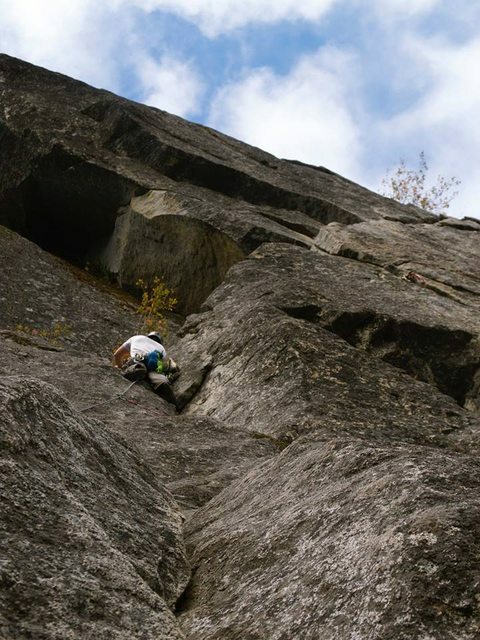 At the top, I was lucky to have just enough pro to build an anchor in crack in a giant boulder and bring up Val. Overall, an awesome day and a fantastic route! 70m rope lets you build a solid belay at the top. 60m will result in a chicken-head belay further down, which could be spooky. We brought doubles 0.3 to 3, plus blue and purple TCUs, and two extra #2s. Used everything at some point, but if I went back, I’d take one extra 2 and one extra 0.5. If you took triples from 0.5 to 2 you could sew everything up like crazy. If you and your partner aren’t both really comfortable at the grade, be careful about pairing down the rack. The high amount of traversing had me putting in a lot more gear than usual to have reasonable protection for the second, both on Remorse P2 and OS P3. "If it works, don't tell your mom about it - it will only make her worry."